Musings 'n scribblings of a philanthrope .. : Where are gun laws taking US to ? 17 teenagers from a school in Miami lost their lives on February 14 to a shooter Nicholas Cruz. The government is still silent on why they are unable to control the free handling of guns by the citizens. 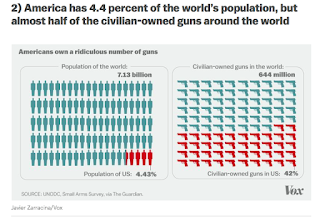 Why is the US government unable to control the great craze among US citizens for carrying or possessing personal firearms or other lethal weapons for ensure their personal safety ? Does the govt have the duty to ensure the personal safety of its citizens by default and why is the US government abjugating that responsibility from itself onto the people to carry it out themselves bringing great risk to society and its members ? 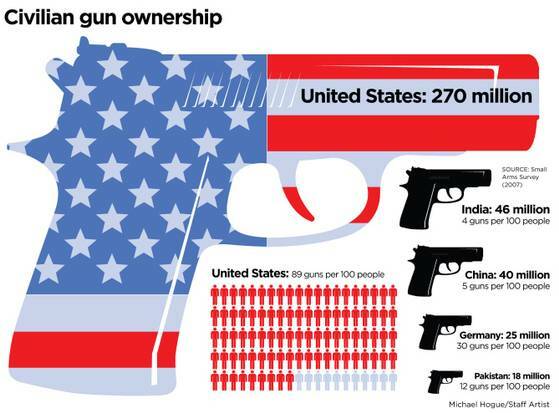 This is a very recent BBC article which gives excellent statistical data on the American gun culture in 10 charts. 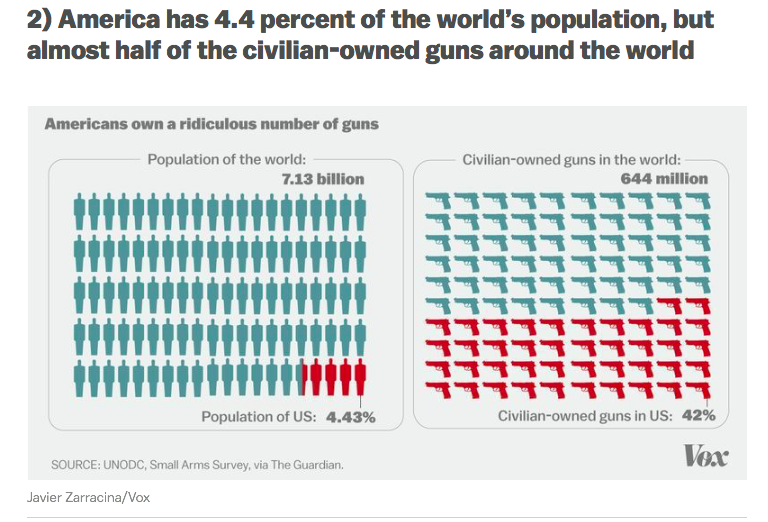 Of all the developed communities in the world, we observe it is the American people who are at greater risk of the use or misuse of guns in their own societies. While offering oneself, a good control over ones' own security, it also makes the whole society very vulnerable to misuse as everyone, sane and insane, is carrying one or possesses one and could use or misuse it for good or bad. It is indeed shocking to understand how guns are being misused by a small fraction of members in the society making the lives of everybody in the society at great risk. 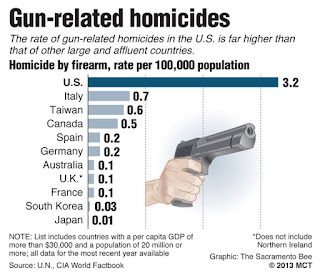 in the US alone, it is estimated to have 280 million guns as per latest statistics for a population of 315 million. ie. almost 88% of the population have legally licensed firearms. The problem with carrying so much of lethal firearms is the very high risk of a misuse happening by an insane person and which results in so much of pain, shame, suffering etc to the members of the society. while proponents of gun culture, argue that guns can instill a fear in the minds of the people that it could be used on them, opponents of gun culture argue that an insane person with a gun can indeed cause great damage to society and innocent young lives, like what happened in Florida over the past four days. What could be a permanent solution to this crisis gripping US society and the people living there ? Should the government further relax gun control laws and give everyone the right to protect themselves or prevent its widespread use and limit the use to only licensed sane people. Another point that could be discussed across US communities is should the US government think of having yearly wellness / soundness of mind checks on gun holders to ensure there is less misuse and less attacks on innocent civilians in revenge attacks ? 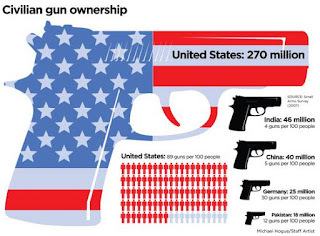 Whatever happens, the issue of gun control is a grave issue the US government finds itself caught in these days and unless some drastic measures which restrain the freedom of individuals to protect themselves in taken up, the issue could become quite serious and grave for the rest of the population. This is a matter of grave concern not only for the US citizens, but also for the innumerable visitors who keep coming to US on business, personal and study reasons and who in turn stand at a great risk of being subject to such attacks and atrocities. In the mean time, the only prayers we could offer to the US and rest of the world is let better sense prevail and let people look at the long term impact of their short sighted actions and not just work for immediate economic and political gains.